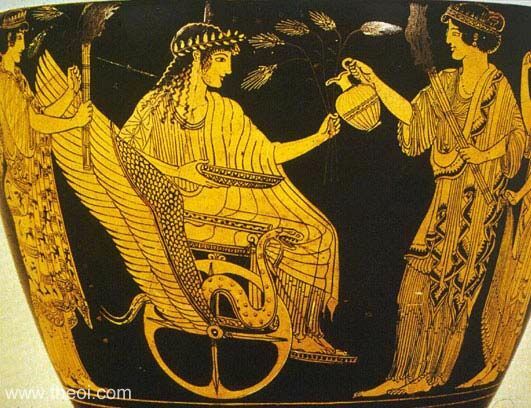 Triptolemus prepares to depart Eleusis in a winged, serpent-drawn chariot on a quest to instruct mankind in agriculture. Demeter and Persephone holding Eleusinian torches and sheafs of wheat bid him farewell. Several other gods (not shown) are depicted in the larger scene.